The clanking of plates being kept away, the ding as the cash register pops open and the low humming of the ceiling fan as it twirls. Chances are that most of us wouldn’t be aware of these background noises on a daily basis, much less it overwhelming us. But this is a daily reality for those with autism. My colleague, Justin, and I had just spent 5 minutes participating in an activity which demonstrates what someone with autism would have to endure and it struck me just how overwhelming it would be. The activity was held at Taipan’s The Malaysian Banana Leaf Restaurant, which is now effectively the first autism-friendly banana leaf establishment in Subang. In partnership with A.L.R.I.T.E Autism Centre, the banana leaf restaurant has since revamped to become more inclusive towards those suffering from autism. And what better time than during autism awareness month. 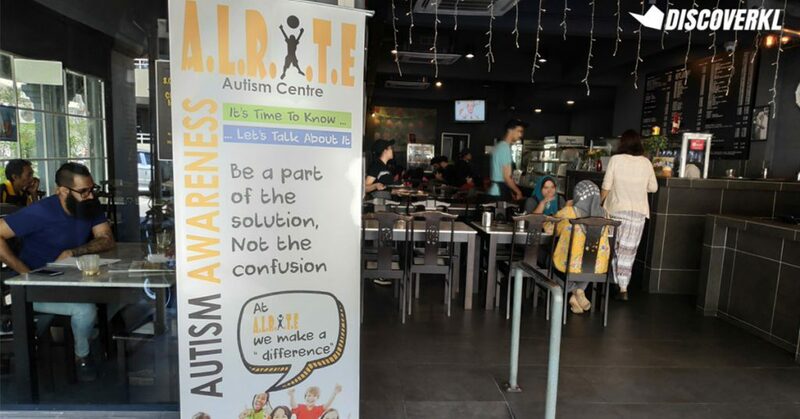 “The children (at A.L.R.I.T.E Autism Centre) love Malaysian food but there’s nowhere which accommodates them,” Misha, the founder of A.L.R.I.T.E Autism Centre told us. 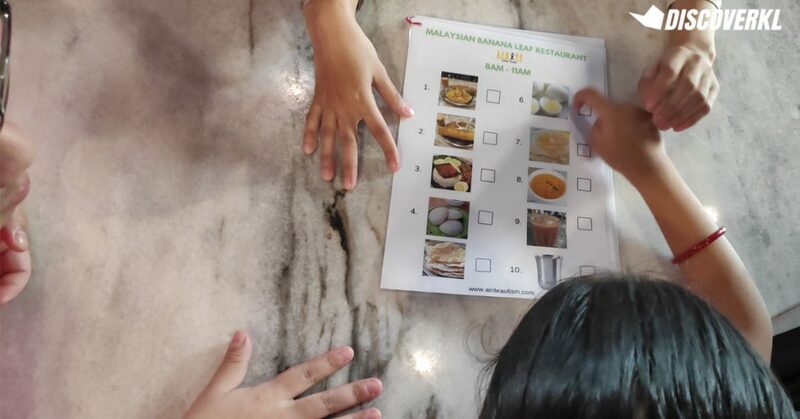 Some changes that The Malaysian Banana Leaf Restaurant has spearheaded include placing visual aids and menu around the restaurant that will either help the children to comprehend the situation or respond to it. 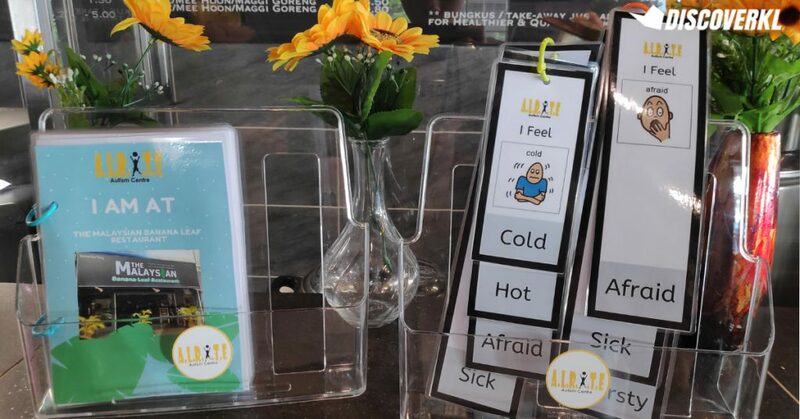 For instance, the team came up with laminated cards that aid the children in pointing out their current emotions, such as happiness or sadness. There are also fun laminated instructions by the hand washing area to help direct the kids on how to properly wash their hands. Speaking of the visual aids, Misha mentioned that children with autism don’t know what to expect and that overwhelms them. “You’re preparing them on what will happen next. Consistency helps guide them through a specific event,” she said. After all, being phenomenal visual learners, they respond to visual instructions better, as opposed to verbal instructions. “With the right support, they are able to tell you what they want and don’t want,” Misha said. 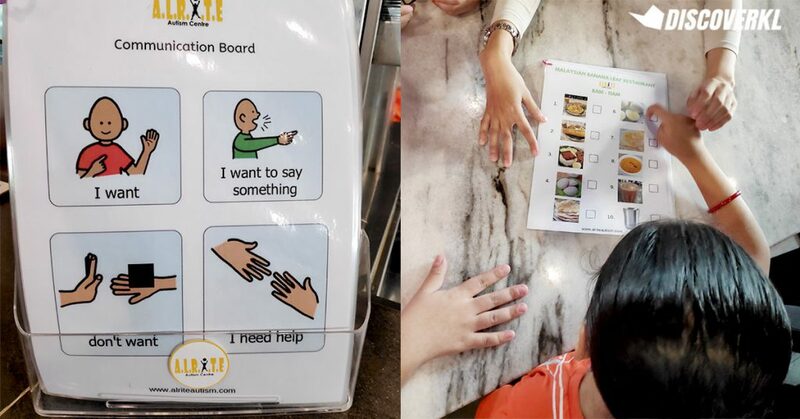 Besides the visual aids, the banana leaf restaurant’s staffs are trained and educated on how to interact with children with autism. Misha shared that the staff are educated, first and foremost, on what autism is and what challenges and sensory issues those suffering from autism might encounter. They are also trained on how to manage the visual aids at the restaurant. 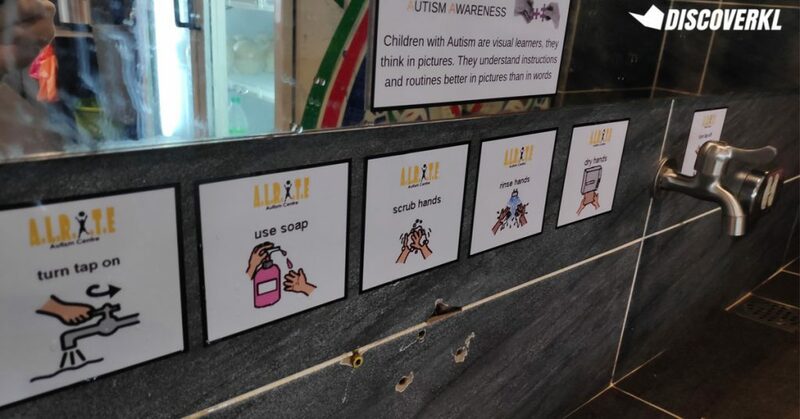 The restaurant also offers simple solutions to make themselves more autism-friendly. This includes lowering the volume of the music played at the eatery and dimming the lights to avoid sensory overload. These might seem like tiny steps for an establishment but it’s monumental for a child with autism. Where most families affected by autism don’t regularly dine out, it’s heartening for Misha when the kids are able to order food for themselves for the first time. Stay updated when you sign up for our mailing list. 2D Bubble Tea Cafe in Sunway Geo Avenue is KL's first viral 2D cafe with bubble tea, and is an optical illusion cafe with 2D paintings. We review Duchess Cafe at C180 Cheras, Balakong on their new menu, including smoked duck carbonara, bubble milk tea and fruit toast. We review the Aneka Rasa Ramadhan Buffet (priced from RM158), happening from May 6-31, 2019 at JP teres, Grand Hyatt Kuala Lumpur. Spill The Dish: What Makes Table & Apron’s Fried Chicken So Addictive? Marcus Low, of Table & Apron in Damansara Kim, shares the philosophy behind the restaurant's famous fried chicken dish that is a customer favourite. Salt & Pepper in Bangi has the spiciest burger in Malaysia, called the Explosive Inner Core Burger, and it has ghost pepper in it. 2D Bubble Tea is a new cafe in Sunway Geo Avenue which sells bubble tea drinks and is 2D in concept—a comic book optical illusion. Fruits Farm In The City @ Damansara Uptown sells durian ice cream made with 100% kampung or Musang King Durian and it's priced from RM1-RM5 per soft serve. Viral IndoBowl Restaurant Launches Number 3—Are Their Signatures Still As Good? A review on Indomie restaurant, Indobowl @ IOI City Mall Putrajaya, which serves Indonesian street food like salted egg IndoMie and chicken satay. Discover KL is dedicated to bringing you up-to-date news on the latest events, local news, festivals, and anything else exciting happening in Kuala Lumpur. Copyright © 2017 GRVTY Media Sdn. Bhd. All Rights Reserved.